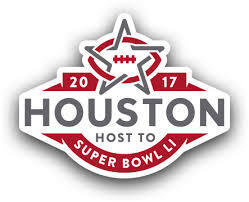 We are selling 100 football ‘squares’ for the 51st Superbowl Sunday, February 5, 2017 – NRG Stadium – Houston, TX. Each square that you purchase gives you a chance to win $200. Once all the ‘square’ tickets are sold we will randomly assign you a football square per ticket. 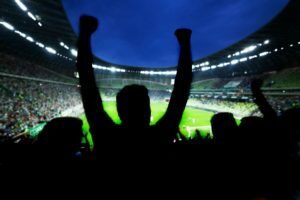 You just need to wait til the game is played to see if you are a winner. A winner will be determined at the end of the 1st quarter, 2nd quarter, 3rd quarter, and Final Game score. The winner is determined by looking at the last number in each teams’ score, and then matching those numbers on the grid and seeing which square intersects those two numbers. An example would be if the Miami Dolphins were playing the New York Giants in the Super Bowl, and the score at halftime was Miami Dolphins 23, and NY Giants 14. The last number for the Dolphins is 3, and the last number for the Giants is 4. The square on the grid that has the Dolphins with a number of 3, and Giants score of 4, would be the winner. Funds also needed for new choir shells and a music library storage system. During the 6 winter concerts, free-will donations, silent auction, and concessions, helped raise funds for these items. Ticket sales go to the teachers, not Boosters. Free-will donations instead of 50/50 raffle during winter concerts brought in $2,511.29. Boosters received 2 large donations in December: $10,000 and $500. Lakewood Festival of Music will be coming up in the Spring. (Date hasn’t been chosen.) Last year was the first year for the Festival and it raised $1700. Annual fruit sale didn’t do well this year. Booster Card – We haven’t done door-to-door sales. Pub Cards haven’t been created yet. Ryan Snyder, attendee, has business called Mascot Booster. It’s a phone app instead of a physical discount card. Organizations receive 90% profit, local deals, and the company procures the deals. Provides 1 year of discounts. Middle schools say thank you to the Boosters for helping with concerts. They are preparing for OMEA contests. Elementary schools say thank you, too. Ukulele instructional program to be offered at elementary schools for 5th graders who aren’t in band/orchestra. This will be in addition to piano, and guitar, which are already being taught. 30 ukuleles still need to be purchased. Beth Hankins is talking to District Treasurer Kent Zeman about possibly linking ticket purchases to EZ Pay. Still in discussion, would need will-call table at all events. Clinton reports that there have been ongoing discussions about standardizing ticket prices for all concerts instead of different prices for grades/types. Discussions have stalled. Final word was from LHS Principal Keith Ahearn. Clinton said he can ask him reasons on why request has been denied. Could be that some music programs are extracurricular vs curricular? Tracey may raise issue at Board of Education meeting. Solo & Ensemble for Band on Jan. 28th at Rocky River High School. All freshman band members required to do a solo. Upperclassmen can choose to participate. Clinton S. pays for the fees for freshman and provides accompaniment. Jazz Workshop begins this week on Wednesday and Thursday mornings 7 a.m. – 8 a.m.
Jazz Band will meet on Tuesdays and Fridays. LHS Pep Band: Dates are on Charms. Will play at 10 games. T-shirts will be $5 for students who play at 3 games, pin will be given to those who play at 7 games. Tiffany will check school mailboxes. Clinton will send out Jan 31st membership deadline (to be eligible for scholarships) reminder to all music teachers. Mary Jane Miller, member and attendee, states that she will donate money to purchase 5 ukuleles.